Choirs Aotearoa New Zealand Trust is delighted to announce that Infratil is extending its sponsorship of the New Zealand Youth Choir. 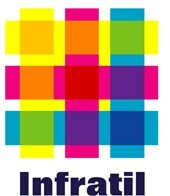 Infratil became the NZ Youth Choir’s Principal Sponsor in 2012 providing $100,000 per year. The initial period of sponsorship due to end in mid-2015 has been extended by two years. Trust Chair, Trevor Kempton said “we are very pleased that Infratil has decided to extend support for the NZ Youth Choir as its involvement has made a significant difference to the work of our national choir. In the last two and half years we have been able to broaden the choir’s activities in New Zealand and undertake a significant tour of the USA and Canada last year with a choir of 60 singers. The continuation of our partnership with Infratil allows us to plan ahead with confidence and start working toward the NZ Youth Choir’s tour to Europe in 2016″. The New Zealand Youth Choir, formed in 1979, is nationally auditioned with membership open to young singers between the ages of 18 and 25 years. David Squire, who was himself a NZYC member, is the choir’s Music Director. Former members of the choir include international opera stars Simon O’Neill, Jonathan Lemalu, and Anna Leese and the three members of the popular singing group Sol3 Mio – Pene and Amitai Pati and Moses Mackay. Simon O’Neill said “the New Zealand Youth Choir was the beginning for me. I loved being surrounded with such fine individual musicians and it gave me the greatest musical love of my life, singing. I can’t thank this most wonderful New Zealand institution enough. It is truly world class”. In 2015 the NZ Youth Choir will combine with Voices NZ Chamber Choir to give two concerts in the Auckland Festival, a joint recital on 18 March and a performance of Michael Tippett’s ‘A Child of Our Time’ with the Auckland Philharmonia on 21 March. The following month NZ Youth Choir will join the New Zealand Symphony Orchestra for special ANZAC concert performances in the Michael Fowler Centre, Wellington and Auckland Town Hall on 22 and 23 April respectively.